Villetta Baia di Porto Frailis is a private villa, about 200 meters from the sandy beach of Porto Frailis, reachable on foot in 3-4 minutes, and 10 minutes from the center of Arbatax. Brand new and with eye for detail, the apartments are composed of two large bedrooms, each one equipped with private bathroom with shower and toilet, and a living room with fully equipped kitchen. Outside there are a covered patio, furnished with garden tables and chairs, and an enclosed garden with a barbecue. Guests will have the opportunity to park their car in the free parking just a few meters from the villa. Villetta Baia di Porto Frailis is located in Arbatax, a hamlet of the munincipality of Tortolì, on the eastern coast of Sardinia. It is set about 220 meters from the sandy beach of Porto Frailis, reacheable on foot in 3-4 minutes, and 10 minutes from the center of Arbatax. From Cagliari: drive on the SS 125 towards Muravera/Arbatax/Siniscola/Olbia. Once arrived in Tortolì, follow the directions to its marina, Arbatax. From Olbia: drive on the SS 131 DCN towards Nuoro-Cagliari for about 50 km. Then follow the directions to Orosei-Dorgali and keep driving on SS125 towards Baunei-Tortolì. Once arrived in Tortolì, follow the directions to its marina, Arbatax. - Children from 3 and adults in extra bed: Euro 15,00 per day. 12% of the total amount will be required by bank transfer or credit card at the time of booking. The balance amount will be settled on property. The balance payment should be done by cash only. 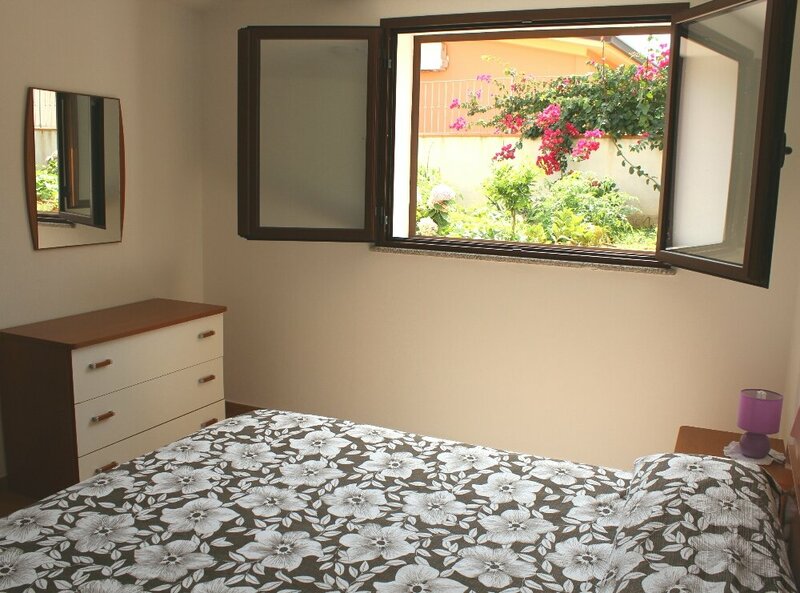 This property requires minimum stays of 7 nights with arrivals and departures every day. Deposit: Euro 100,00, refundable at the end of the stay.